snow lace with catkins looking exactly like picots. 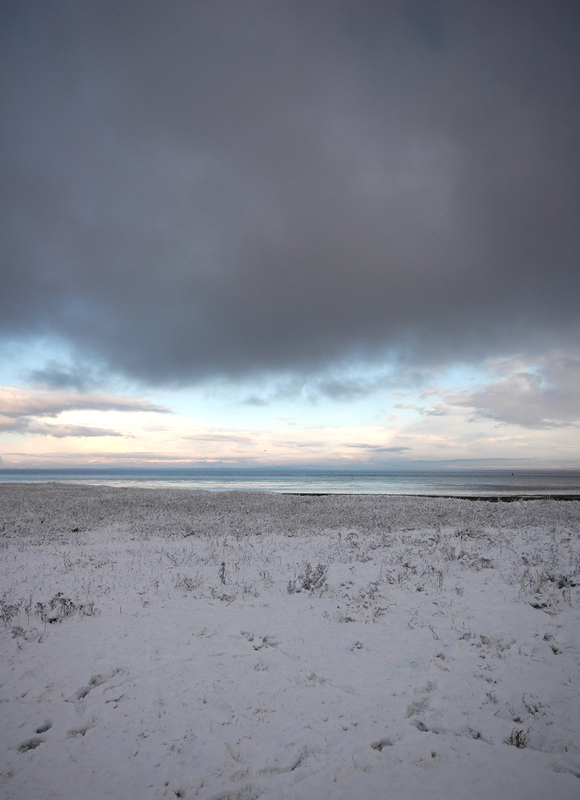 Although the whole of the British Isles is suffering from snow this winter, here in Portishead on the Bristol Channel, it is a rare and entirely delightful presence. I have lived here for over 20 years and this is only the 3rd fall of snow which has stayed for more than 1 day. 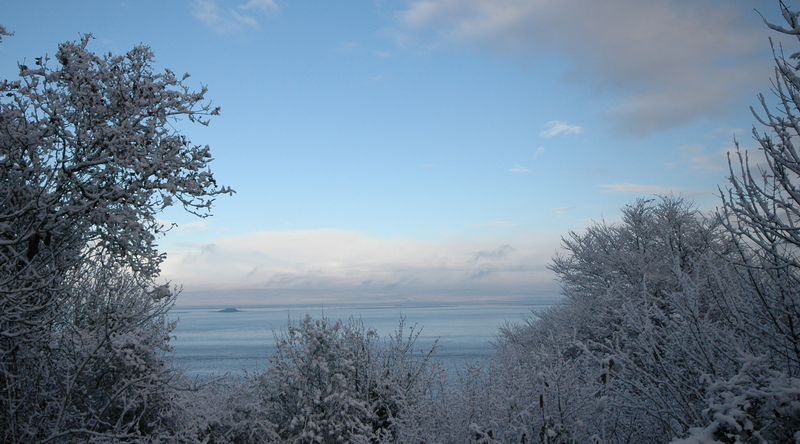 When I looked out of the bedroom window this morning this is the view I saw. So at just past 8 o’clock we went out to see the woods – I walk in the ancient local East Wood almost every day, this time Steve came with me – no hope of getting the car up the hill and off to work in Bristol just yet. 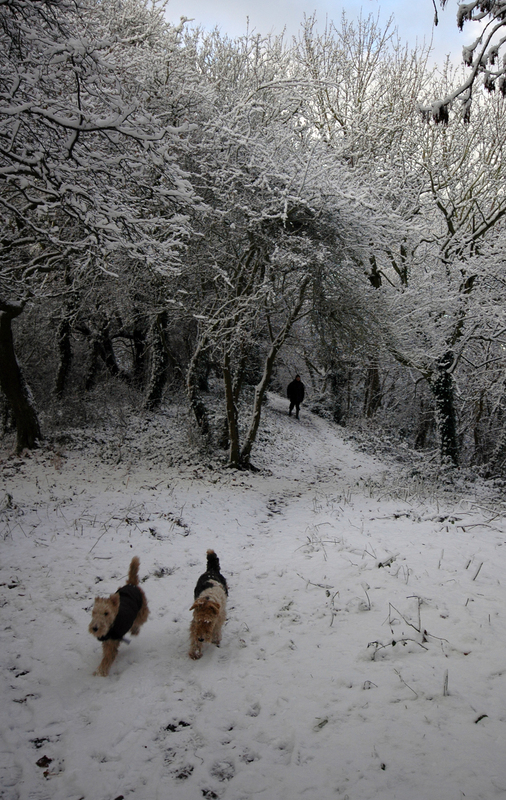 The dogs behaved like mad things, running, eating, dancing around in the snow. 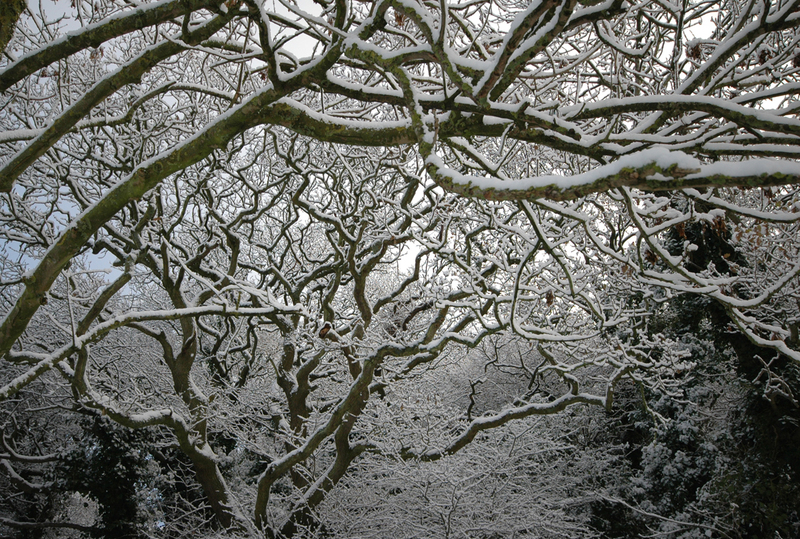 remind me of 17th century needle lace with picots and wonky patterns – maybe I will find an animal shape in the trees if I look hard enough. 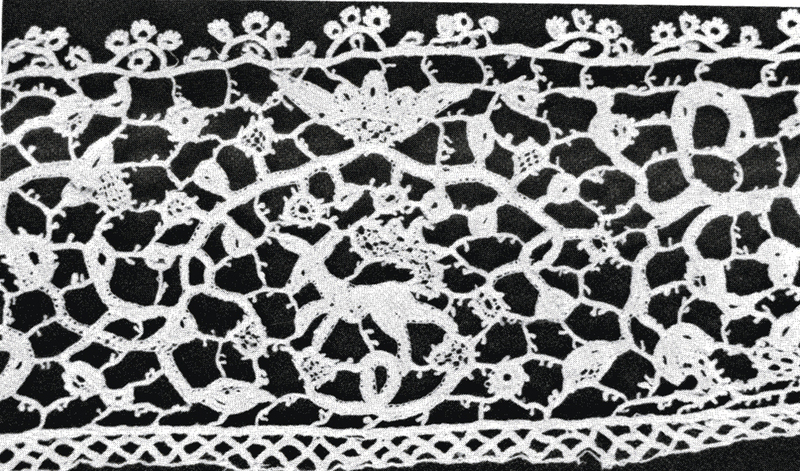 I am being very fanciful but I did think of the wonderful old Venetian needle-lace with their heavily encrusted stitched worms and wiggles. Turning the corner of the woods we headed back home, down hill all the way and getting slippy underfoot – by now the sun was out and the sky bright blue, the snow was thawing. One last look across the Severn estuary to Denny Island, a tiny outcrop in the middle of the channel, home for a big boys’ breakfast. This is a simply exquisite post! 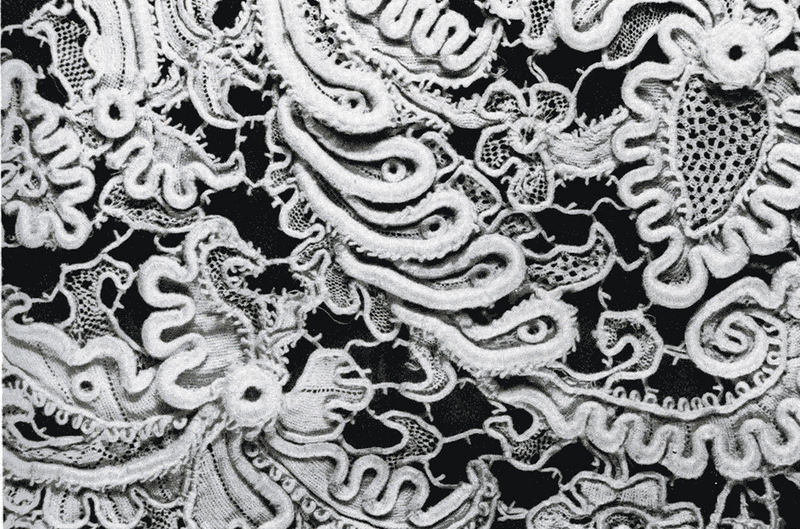 Lace and landscape so beautifully matched – an artist’s eye! Mother nature is so creative and inspiring! Well done and lovely!